Hyochang Park (total area of 160,924 ㎡) in Yongsan-gu, the burial site of seven independence activists who sacrificed their lives for country’s liberation but were not properly recognized, will be reborn as an Independence Movement Memorial Park in 2024. This is a plan to restore the historical value of the movement while properly establishing the topology of Hyochang Park, which has grown unfamiliar among the public and neglected by residents due to the aging of the park and varying facilities that settled in over time. The wall that stood between the park and the community will be torn down to provide a natural connection between the points of history and culture in the area. To the north of Hyochang Park, the Son Kee Chung Athletic Park is set to open in June 2020 in commemoration of the athlete Son Kee-chung, who revived the spirit of the nation during a dark time. Seoul announced the Plan for Hyochang Park Centennial Park in light of the 100th anniversary of the founding of the Korean Provisional Government. The future direction of Hyochang Park design includes ▴a changeable, multi-faceted space of Hyochang Stadium through creativity, ▴transformation of the tombs of seven independence activists into an everyday “sanctum,” ▴and the commemorative linking of the park expansion with the surrounding area. The aim is to change the closed, static image of Hyochang Park into that of an open space to remember as a community. First, Hyochang Park will undergo remodeling through creative designs. However, the matter of facilities needing only partial reparations will be decided through public opinion within the sports community. Second, the tomb site for independence activists will be a memorial space in everyday life for the public to visit, rather than a closed space centered on worshipers. The city plans to create the area into a space like Germany’s Memorial to the Murdered Jews of Europe, where memory and daily life are in coexistence with one another, and the Père Lachaise Cemetery, the beautiful city park of Paris where Chopin, Oscar Wilde, and other noted figures are buried. Third, the park will go through an expansion to promote coexistence with the local community, linked to surrounding base points like the Son Kee Chung Athletic Park, Museum of Japanese Colonial History in Korea, Yi Bong-chang Memorial Hall, Gyeongui Line Forest Park, and Sookmyung Women’s University. The park will be linked with Yongsan-gu’s Hyochang Centennial Path Creation Project to break down the wall that had stood between the local community and the park to make for a natural park entrance adorned with flower beds and grass. The Son Kee Chung Athletic Park that will newly open to the public in June 2020 is to be located within a 15-minute walk north of Hyochang Park. This will be another park that commemorates an athlete’s spirit of resistance associated with the history of the independence movement. The plans for Hyochang Park have not yet been confirmed, however is currently in draft form for future deliberation. 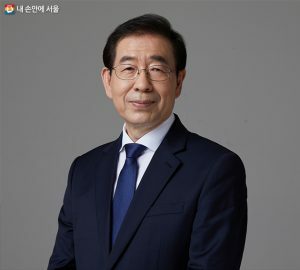 The final plans will be confirmed through a public consensus, such as the Hyochang Independence Centennial Forum (TBD), with participation by Seoul city, related departments, associations, and residents.